Today was a snow day, so I decided to look through some paperwork for my student loans that just went back into repayment. I finished my Master's Degree in June last year and have been slowly receiving all of my repayment information for my loans. I still have a large chunk left to pay on my undergrad loans, and now with my graduate loans tacked on top, I'm starting to get nervous. And angry. I got my Master's Degree for two reasons: 1) I felt the need to learn more about the field of Instructional Technology so I could be a better teacher 2) to maintain my PA teaching certificate. If I didn't attain a Master's Degree or Master's Equivalency by my 5th year of teaching (my Level II certificate) I would have lost my Level I teaching certificate and my job. Now, true I could have just taken a free course here and there or a cheap class when I could, but that's not how I do things, and it just seems like a silly way to improve myself as a teacher. Part of NCLB states that schools should be filled with highly-qualified teachers. This definition includes that teachers be certified and hold higher degrees. While I don't agree that this model ensures that a teacher is a good teacher, it is a huge part of how teachers are hired and considered qualified to teach. But who is paying for these extra classes? No other field I know of requires an employee to pay out of pocket to develop their skills or lose their job. Most corporations pay for employee professional development and while many suburban or more affluent districts help teachers pay for their higher education classes, many don't. Philadelphia's public school district offers $1000/yr while funds last, and it does a great job of hiding this initiative on its website. I found out about it in my last semester of school. Did I mention that $1000 didn't even pay for one course? I did get a tiny bump in pay when I filed all of my Master's Degree paperwork with the state (a few hundred dollars a paycheck), but nothing that could cover the extra $360/month I now owe for my degree. Again, I could have made a choice to take free courses (there aren't any in Instructional Technology) or I could have gone to a different school (I chose the only school in the area that offers the degree) or I could have chosen a cheap online program just to satisfy the requirement. But would that have truly made me a better (highly qualified!) teacher? I doubt it. So now I owe about as much as I make in one year to student loan companies and the Federal government. Is it really such a surprise why teachers deserve to be paid more? I have more education that many people I know, I make at least $10,000 less than they do and I owe more than I'm worth. Most teachers say "I'm not in it for the money." I say this tongue-in-cheek all the time. But why do we have this attitude toward a profession that is molding the future of our country and our world? Why shouldn't we be as proud as CEOs and corporate employees about our paychecks? 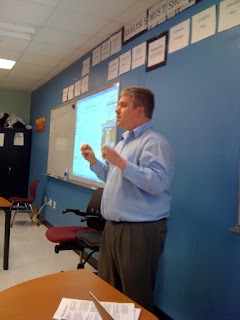 This past week I was honored to do a guest blog post on Richard Byrne's blog Free Technology For Teachers. You can read my post about creating and managing student Diigo accounts through a Teacher Account here. If you don't already subscribe to Richard's blog, you should. He provides a plethora of useful links and resources for educators of all kinds. Today started with our new prep schedule on the counter and a note about us teaching our scripted reading program TWICE a day now, with a 30 minute period added at the end of the day. Yay! More robot teaching! In addition, I have students who, due to snow storms, coverage, holidays, etc.. haven't completed enough work for me to give them a grade and now I won't see them ever again. Also, after all of our hard work, our school store schedule won't work anymore and has to be redone and rethought. The best part: this new schedule starts Monday with no practice run through for the students. It woke me up a little about how I should be trying to start my day, but I was still feeling fed up and frustrated. After my first class left and my Enrichment group started filing in, one of my Enrichment students, V, walked up to me and hugged me. At the start of the year I struggled with him over behavior issues but he has blossomed into one of my best students and amazes me every day with his intellect and maturity. I told him, "V you just turned my day around." One by one, each of my students, there were about 8 of them standing there at the time, gave me a hug as I walked in the room. Man, did I need that. I dedicate this post to my friend, Deven who shared his story of a student brightening his day here. As a former Science teacher, I can't help but reflect on the fact that Science has the power to pull all of the subject areas together. A well designed and executed Science curriculum can incorporate Literacy, Math, Social Studies, Art, Music, Physical Education as well as higher order thinking and creativity. So why do so many curricula push Science aside to a few periods week, promote disjointed teaching, and focus mostly on Reading and Math? 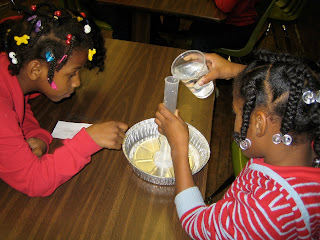 In my experience, a child can learn measurement, graphing and basic computation while also learning how to write reflections, answer open-ended questions, complete observational drawings, explore the physics of sound and fly homemade kites to learn about air pressure. All before leaving elementary school. If we want to increase engagement, academic achievement and promote a love of learning, we need to make a place for Science Inquiry in our classrooms and our schools. Jeff Pulver believes that we are experiencing the first stages of a major communication revolution. What many people today refer to as "Social Media" he believes is really a primitive for a new way we will communicate in the future. In fact, the systemic effects of the advent of social media will be felt for a long time after the term "social media" is no longer trendy. This morning I attended a Classroom 2.0 Elluminate session with Jeff O'Hara, the founder of Edmodo, an online tool that allows for real-time interaction between teachers and their students as well as asynchronous communication in the form of assignments and media posting (videos, links, etc...) This 'communication revolution' is real. 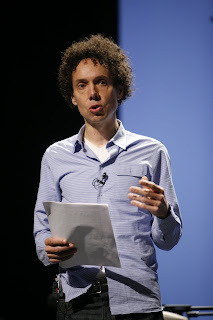 I've also been listening to the audiobook of Malcom Gladwell's, The Tipping Point. I saw his keynote address at ISTE's NECC 2009 in Washington, DC and was intrigued by some of his points and always meant to pick up the book. So far, it has gotten me thinking about this communication revolution in relation to his discussion of how information is disseminated through a population. First, he discusses Connectors, people whose social ties cross many different social groups and interests. We are connected, as he explains through describing scientific studies and experiments, by only a few, highly connected people. 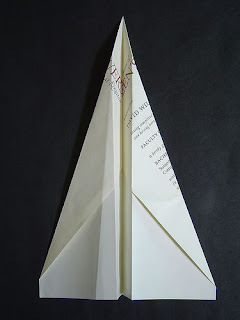 He analyzes his own circle of friends and deduces that it is not a circle, but a pyramid, with his most connected friend, Jacob, tying everyone else to each other. This made me examine my own social networks and how they are connected. Can I trace my network down to one or two people who hold us together? In the world of Twitter, this kind of connectivity is vital and plays out on a grander scale. 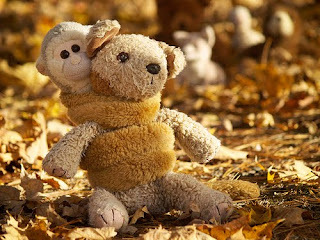 There are still, certainly, people who are intertwined among many networks and do so easily because of the tools available for facilitating connections. He also talks about Information Specialists, or Mavens, people who are 'pathologically helpful' when it comes to sharing information. While the example he gives refers to supermarkets and people who keep track of prices and therefore keep supermarkets in check, we live in an 'Information Age.' I am always amazed how quickly people are willing to seek out information for me on Twitter. Often, complete strangers! There are also those people, it seems, whose sole purpose is to provide as much information to people as possible without expecting anything in return. Just like Connectors, these people have a much farther reach due to the social networking tools available to them. With all of these musings, it seems to me that we are becoming more and more connected in fewer and fewer steps. There seems to be a large number of Connectors and Mavens able to spread information to wider and wider groups of people. Are we at the Tipping Point of communication as we know it? Those of you who have been following this blog may remember that I have been teaching a group of about 17 bright, young students (1st and 2nd graders) in an Enrichment group 5 days a week for 45 minutes. This group is proficient/advanced in reading and tested out of our scripted Corrective Reading program that the rest of the students in their grade participate in. When I was assigned this group I was given no materials, no curriculum and no guidance as to what I was supposed to be teaching these bright minds. Over the last few months we have created a podcast, written Storybird stories and are almost finished with a VoiceThread. Since no one was telling me what to teach, and it was an Enrichment group, I figured, "What could be more enriching than creating authentic assignments for them?" Then, a few weeks ago I got a message from my principal telling me that the following day (nothing like last minute!) I would be attending a training on a new program for my Enrichment group. "Great. Now they're giving me a scripted program," I thought. I hopped on the subway the next morning to William Penn High School (at least it was easy to get to) to attend the training. I'm sure you're all familiar with the feeling I had as I walked in the room and found a seat. "Let's just get this over with. At least I have my laptop, so I can get some things done." Turns out, the program, Junior Great Books was exactly the opposite of what I expected. I was so engaged and busy I didn't have time to even look at my laptop, which sat closed in front of me. The presenter/trainer engaged us in a 45 minute Shared Inquiry discussion about--no joke--Jack and the Beanstalk. Junior Great Books, part of the Great Books Foundation's reading program, provides kids with real, un-watered down literature. It provides them a chance to read the story numerous times, each time delving deeper into the story. It also provides them with a chance to discuss the book focused around an Inquiry question created by the teacher. (Ours was "Why was Jack not content after his second time up the beanstalk?") During the discussion, the teacher can only ask questions. There is no "good idea, Jimmy," or "Good point, Susan." It's a true Socratic discussion with the teacher as the discussion leader. First reading followed by sharing of questions and reactions. Second reading with discussion questions that are written in the margins of the book. Harrison Bergeron Discussion from The Great Books Foundation on Vimeo. I introduced our first story, The Happy Lion, to my students on Tuesday. It is definitely a challenging read for my 1st graders, so I gave the option for all students to either read along in their books or listen with their book closed like a bedtime story. One of my 1st graders curled up in his chair to listen! After reviewing some new vocabulary (like Bonjour and Au revoir), we got started. I told them that this was the first time we were hearing the story, so I would not be asking them questions or answering questions; we would just read it to enjoy the story. I told them that I would take questions at the end. After a nice, quiet, yet engaged read aloud I asked if there were any questions. A couple of questions were about vocabulary words like hubbub and swished. Then the most amazing thing happened. My students, unprompted, asked inquiry questions. First came: "Why did the people all say, 'Hi' to the lion, but when the lion said, 'Hi,' they all ran away?" Then: "Why does the lion say 'so this is what people must act like when they're not at the zoo?'" I couldn't believe how sophisticated these questions were. These are 1st and 2nd graders! We put the questions up on the board to keep them in mind for our later readings of the story. All I could think was: "So THIS is what teaching reading should look like!" I'm saddened that only my group of students gets to experience this wonderful program that will definitely pique their interest in reading, engage them with wonderful stories and build their critical thinking and discussing skills. Their peers are stuck reciting phonics and tracking words. What will happen, I wonder, to those students' love of reading and ability to think deeply about what they are reading? Recently, with all of this change coming to Philadelphia schools, in conversation with fellow educators at the Educon conference and some engaging conversation on Twitter and Google Buzz I've been thinking about what a good model of school reform would look like. Many of my colleagues and I agree that expanding the Charter School model would not help, but rather hurt our local school system here in Philadelphia. Charter Schools are like a 'brain drain' from the neighborhood schools. They also have the ability to sift out families and students who don't 'buy in' to their philosophy or structure. Which leaves the hardest to teach, most struggling students and families left in the neighborhood schools, which often don't have the resources to serve such a population. The new Renaissance School movement in Philadelphia and elsewhere (sometimes by a different name) through which chronically failing schools are closed and reopened under new (sometimes private) management will not fix the problem of failing schools. It is, as they say, a "Band-Aid" solution. The model chosen to take over the school may completely turn the school around, but if it is a Charter model, what happens in the likely occasion that many families are disengaged with their child's education? Will they be forced out? Where will they go? Back to the neighborhood school. 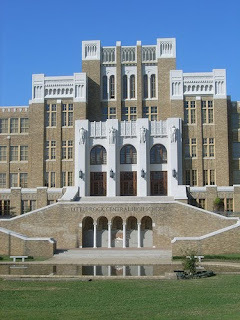 What I don't think has been part of the discussion is the structure of the neighborhood school that sets it up to fail. In Philadelphia, you are required to attend the school that is assigned to your geographic location. In general, poor neighborhoods are plagued with the typical issues that poverty brings about: broken family units, joblessness, poor health, low levels of literacy and education, violence, drugs as well as parents who work more than one job to support their family. When a school serves such a community, it has much greater hurdles to surpass than the neighborhood school in a 'working class' or affluent neighborhood. I understand I am talking completely in stereotypes and it may be offensive to some of you reading this, but I am speaking from experience. When I am in a room with Philadelphia teachers from all over the city, I can predict what someone's daily experience is like just from the part of the city they teach in. It is a well known fact that the neighborhood you teach in has a direct affect on how involved your parents will be in their child's education, how many of your students will be suffering from abuse, PTSD, come from foster homes or require special attention due to anger issues or severe learning gaps. Charter schools break this model by pulling from different parts of the city. A Charter school taking over a failing school cannot do this due to a stipulation in their takeover contract that they must take over the school and all of its current students according to school boundaries. I am very curious to see how this stipulation will affect the effectiveness of the model. I believe that it's this diversity of student body that helps these kinds of schools succeed (along with their autonomy in school management). When a school pulls from all over the city, its students are exposed to children who don't look like them, who have different views of the world or even children who come from across the city but share a similar life experience. In addition, there is less stress on the school's resources when the student body is more diverse. I've been pondering all this and remembered reading about districts who still bus their students in accordance with Brown vs. Board of Education to desegregate their schools. The model I read about gave every student entering Kindergarten a chance to choose the school they attended through a lottery system. Each student provided their top 5 choices of schools to attend, which could include the school closest to their house. The assignments were given based on available openings and lottery. The district provided busing for all students, much like how Charters provide busing to their students who come from other parts of the city. This model would have to be different from the forced busing of the past with the purpose of keeping schools racially balanced. In the model I am envisioning, students can put the school right down the street as their #1 choice, and students would be allowed entry into the school of their choice based on available openings with no preference for race, academic achievement or socioeconomic status. Why do I like this model? Giving students and families a choice helps keep them engaged in a child's education. Choice fosters competition among schools to attract the best students, no matter what neighborhood they are in. Services are more evenly distributed throughout the district since no one school is overwhelmed with high-needs students and families. Could this ever work in Philadelphia? It would require a huge shift in policy--the end of the boundary system, parent outreach to explain the new system (which wouldn't be much different from the current system in place that helps parents choose a Charter school for their child), and a plan for how to allocate services to schools, which could be based on the current model that determines the number of Special Education teachers, counselors and support staff. Even the student ID numbers wouldn't have to change, or school location numbers. Ok, ok, I'll step off my cloud now and come back to Earth. 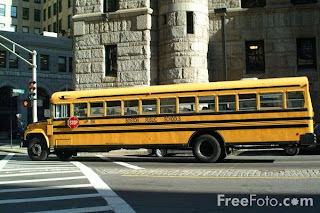 If you have experienced busing or have an opinion about it, I would love to hear it. Please leave a comment! A couple days ago I wrote about a student in my class who was struggling with completing work in my class. After a breakthrough moment in which I expressed to him the importance of taking risks and not fearing challenges, I wondered if this moment would have lasting effects. Yesterday, I had him again, and while he still had a lot of "Ms. Hertz I _____" moments asking for help and guidance, I could sense a change. Sadly, he still struggled to complete the drawing, and I felt crushed. As I dropped the class off for lunch, M___ came up to me and asked me if he could come back to the classroom to work on his drawing. I looked at him, and seeing his pleading eyes, I couldn't say "no." We walked back to the lab. I asked him why he didn't finish it during class. He replied, "They were too loud." (note: the class was no louder than usual while working on a project) I realized that he was sensitive to noise while he worked. In the relative silence of the empty lab, I sat at my desk while he worked on his drawing. Every once in a while he would ask me how to do something, and I would tell him which tool might meet his needs. I didn't get up once or need to model. The verbal directions I gave were enough. As he worked, I could tell that he was constantly seeking approval. At one point he even asked me whether his drawing was "right." 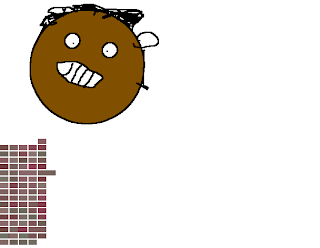 I told him that his drawing was HIS. The only way that he could be 'wrong' was if the assignment was to draw a pig and he drew a boat. I told him that when I was a child I had an art teacher who told me that I was the 'boss' of my art and that no one could tell me how to draw. I also explained that not all teachers were like that; that some teachers might say his drawings were wrong, but not to worry about it. He seemed satisfied. My 4-6th graders have been working Persuasive Essays for the last month. (While that seems like a long time, it is really only 4-5 class periods.) I decided to have them hand in their work using a drop.io dropbox rather than my server dropbox so I can grade their work from home. While playing around with the drop.io settings and functions, I noticed a 'comment' feature. "How cool!" I thought. Not only could they read each others' essays, but they could leave feedback as well! I created a guest password and linked it to their assignment page. They logged in and then the fun began. It was so exciting to see them taking the time to read each other's essays. While the comments were not exactly what I wanted (some were more about say "what's up" or "you go girl" than actual feedback--totally my own fault because we didn't spend a lot of time going over giving useful feedback) it was fun and engaging for them and they were excited to know that their work was being read by their classmates. There were a few teachable moments when a student posted a "so and so likes you" comment to a boy's essay and when another student left a few rude comments signing someone else's name. It gave me a chance to remind them that once you put your words and thoughts up on the Internet, they are there forever and you can't take them back. It also gave me a chance to discuss netiquette and real life situations that occur when using social media. I kept having to remind myself that nothing is perfect the first time you try it. This was a great activity and a successful one with a few hiccups, and it is a great jumping off point for the collaborative work I am planning for the Spring. Every day I see proof of the power of social media to motivate students to engage with content. There is no other kind of tool that would allow for students to view each others' work so quickly and leave feedback so easily. Also, knowing that others are going to read your work, especially one's peers, often motivates students to take more time and be more careful in how they write and what they write. Now my question: am I going to get in trouble now? The District is so fearful of these kinds of tools and activities. I just had to share a smile in all of the doom and gloom I've been sharing recently. Background: One of my students has spent the last few weeks saying, "I don't know _____" ...fill in the blank with whatever assignment we're supposed to be working on. It got to the point where I was feeling hopeless. He would sit for 45 minutes repeating this over and over no matter what kinds of supports, ideas and explanations I tried. Finally, last week, I pulled him aside and had a short conference with him. I can't remember exactly what we talked about, but I know I was exasperated. Next he began working on his Three Little Pigs illustration. 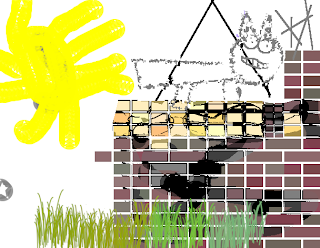 He was drawing the wolf, a brick house and the pig. He pulled me over. "Ms. Hertz, are wolves furry?" "Yes," I replied. He pointed to his drawing. He had used the chalk tool to blend the edges of his lines to make his wolf look furry. I could barely hide my joy. (OK, I didn't hide it at all.) "See," I said, "you can't know how to do something unless you try it first!" 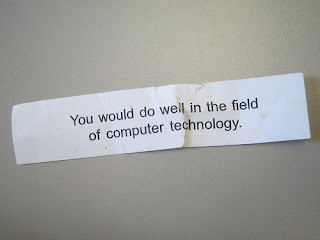 Later that day, his class came for Computers (I teach him every day for an Enrichment period in the morning). For weeks we had been struggling with his Storybird story. "Ms. Hertz, I don't know what to write. Ms. Hertz, I need help. Ms Hertz, I can't find that picture." In 2 weeks he hadn't even completed a cover yet. You get the idea. Today, he sat down, chose a cover picture, wrote a title and completed his first page. I wanted to hug him. (The only reason I didn't is because he probably would have been embarrassed or confused, I know him well enough at this point!) When he was done, he asked, "Can I work on my drawing?" Sadly, we were out of time, but it was thrilling to see him suddenly not afraid to take risks and motivated to try something that was a challenge. These small victories and celebrations mean so much to me. Today was a reminder why I could never see myself doing anything else. Twitter has been buzzing with how attendees of this past weekend's innovative conference will apply what they learned, shared, discussed and saw. I felt the pressure. After spending my weekend immersed in discussion of moving education in the right direction, how would I make a difference? How would I play my part? It came to me last night before fading off into (glorious!) sleep. Most of my memorable experiences involved discussion and collaboration. I need to put these experiences into the lives of my students. 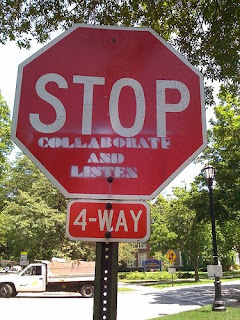 As I plan for the next 6 week cycle of lessons, I am going to make a point to plan collaborative projects for my students that allow them a choice in how to 'show what they know.' I will let them do collaborative research projects, using Diigo to let them share resources and giving them a rubric that includes grading their part in the group. A daunting task for students I see once a week for 45 minutes, but should it prove successful, I know it will be powerful for my students and for myself. After my long and detailed blog post from Friday, I feel the pressure of trying to match it. I already have failed in that mission since it's already Monday. My morning started with breakfast at Con Murphy's with Ann Leaness and a group of delightful teachers we had just met. We were a little late, and Kevin Jarrett snapped a picture of us sneaking in the door. I was lucky enough that Gerald Aungst had saved me a seat. I was also lucky enough to have Jason Epstein sitting on the other side of me as well. While I didn't get to really speak with them due to the 'hush-hush' nature of the opening session, it was nice to be in good company. The opening remarks were made by Chris Lehmann and the Central Region Superintendent Marilyn Perez. Perez spoke about how many students need organization and order in their lives, that they should not be judged by their environment or their background and that it is important to get to know your students to better reach them. Next I headed toward my first session, "Elementary School in the 21st Century." The presenter, Brian Crosby, was from a district similar to Philadelphia in its issues and challenges. This is always refreshing. The conversation weaved around passion and how passion is being crushed in some ways due to scripted programs, how passion is important for good instruction, and whether all teachers have the passion they need to be effective. One of the session attendees brought up the concept of clients in education. Some people argued that depending on your role in the school or district, who your client is may vary. While I'm not sure exactly whether we should be considering our students, parents or communities clients, I understand the metaphor. I tend to shy away from putting education in corporate terms. 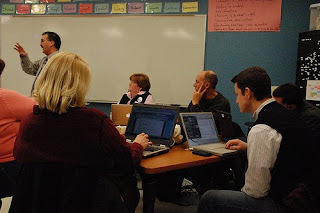 While I wish that we had more time to discuss what a 21st Century school would look like physically, some thought provoking conversations surrounding the idea that just putting tech in schools does not guarantee that teachers will change the way they teach and that the tech will raise student achievement and engagement. When discussing how to promote tech integration in schools, one session member also brought up that by using the press to show the community what is going on in classrooms, teachers can model innovative uses and gain support for what they are doing with their students. Another attendee shared the wonderful idea of having students present book reports using Skype so parents could watch from home. A few resources were shared, including NetFamilyNews, a site dedicated to sharing resources for parents and families and QuestAtlantis, a 3-D virtual learning world for children ages 9-16. As I filtered out with the crowd and headed toward my next session, I ran into Jason Ramsden, who had helped me immensely on Twitter while I was learning how to use Prezi. He sent me links and tips that helped me wrap my head around the tool. It was so great to meet him! 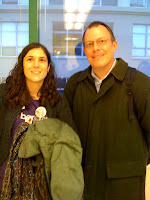 I also had a chance to take a quick picture with Patrick Larkin, who I have been talking with for months on Twitter. It was great to connect in 'real life.' Unfortunately, he took the picture, and I don't have a copy! As I settled into my next session, I was excited to see what the Canadian Invasion, Rodd Lucier and Ben Hazzard had to offer. When they announced that we would be making a book, I got giddy. Nothing better than a 'make-and-take' session! They told us to go to a wiki they had created for the session. The purpose of the session was to create a 4 chapter presentation about being a 'change agent.' They had created a Google Doc presentation for each Chapter, opening it for editing to everyone. We would all contribute to the book by adding a slide to a chapter with a Creative Commons photo and a quote based on the main idea of the chapter. The chapters were: "Admit it: You're a Change Agent," "Challenges of Being a Change Agent," "Change Agent Toolkit," and "Mentoring Change Agents: Finding Mutual Support." It was an engaging session since we were doing the creating and had control over the final end product. I worked with Eric Conti, who came up with a great quote for our first slide. On a side note, I noticed that in a session of a little over 20 people, 13 of them were using Macs. Is there a correlation between change agents and Macs, I wondered? View more presentations from Rodd Lucier. My final session of the day was one I was really looking forward to. The presenter, Jon Becker had Justin Bathon from Edjurist.com join us through Wimba Classroom to answer our questions about law and the internet and education. We started by brainstorming questions around law areas such as Freedom of Speech and Search and Seizure. To be honest I can't remember the other areas because we focused mostly on those two. One of the most eye opening things I learned was that as a government employee, First Amendment rights don't necessarily apply to me. This was determined in the Garcetti v. Ceballos case of 2006. As a result of learning this, I will be adding a disclaimer to my blog as soon as I click "Publish Post." We also discussed the extent to which schools can act on what they might find on Facebook or other such sites or social networks. The lawyers said (and disclaimer here: neither claimed that what they were giving was legal advice, but rather conversation for educational purposes only) that it would require the event or incident to constitute a 'disruption of school.' With such vague language, we agreed that this could be interpreted many ways, but that reports of the event or incident had to be based on fact, not suspicion for the school to act. In addition, should the site or conversation in question be public, the school could act fairly quickly, but should it occur, for instance, on a private Facebook page, there would be a need to execute a search and seizure of the account in question. An interesting thing I learned was that some schools and districts actually tell their teachers that they can't friend their students on Facebook. Most likely this wouldn't hold up in court because (at least at this time) there is no law to support it. In addition, some schools have an 'assumed' Acceptable Use Policy (AUP) and only require parents to sign it if they opt out. The AUP is printed in the Parent Handbook. I agreed with the lawyers that it's smarter to have something signed than just assume that parents have read and agree with the AUP. One place where the lawyers were a little stumped was during the discussion of teachers setting up accounts for students under 13. We considered scenarios where cases of cyberbullying might reflect back on the teacher for setting up the account or where the individual may be held accountable for breaking the Terms of Service of the site. On the highly-debated topic of the Children's Internet Protection Act (CIPA), it was as I'd always thought. The lawyers have never seen a case where a court has cracked down on a school. Schools comply with CIPA because if they didn't, they'd lose federal E-Rate money. Worse case scenario, the school would lose its funding. The question also arose about the use of personal hand-held devices by students in school while using 3G or public networks. Most of the conversation supported the viewpoint that on a private or non-district network the individual would be held responsible for what is sent over the network. 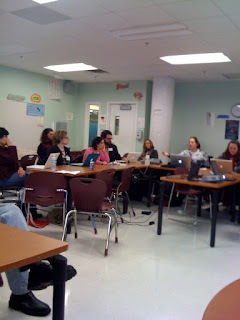 After the day's sessions, the members of the EdCamp Philly team met for a brief meeting. I was also able to catch a photo with Nancy Blair and Paul Bogush. As well as some amazing educators, Paula White, Kim Sivick, Ann Leaness, Yoon Soo Lim, Hadley Ferguson, Becky Fisher, Rob Rowe (and me). Unfortunately, I didn't take any photos of decompressing time in Ann's hotel room with Rob Rowe pre-Rembrandts, and I don't have any photos of the wonderful conversations I had with Ann, Sean Nash, Jaime Dial, Shelly Blake-Plock, Andy Marcinek, Paul Bogush, Rodd Lucier and Ben Hazzard or my happy meeting of Lisa Thumann and Alec Corous. I ended up staying till almost 2am, so I slept late on Sunday. But that's a blog post for another day! Thanks to Kevin Jarrett, the Paparazzi of the edtech community for the beautiful photos!